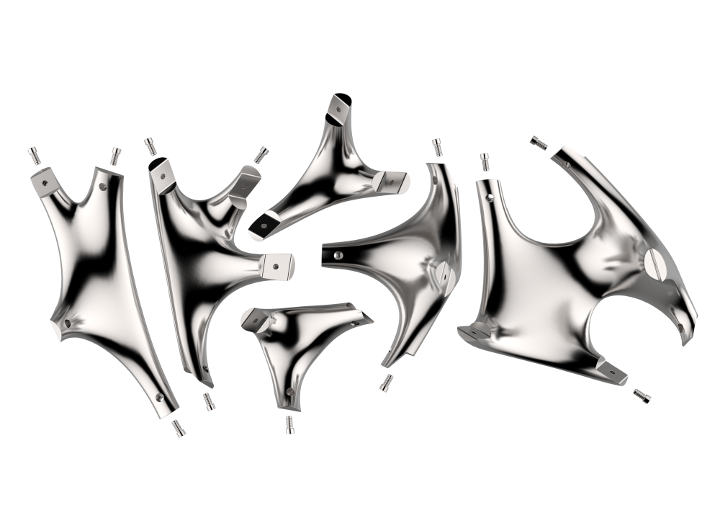 Organic shape experimentation — a digital design process study. 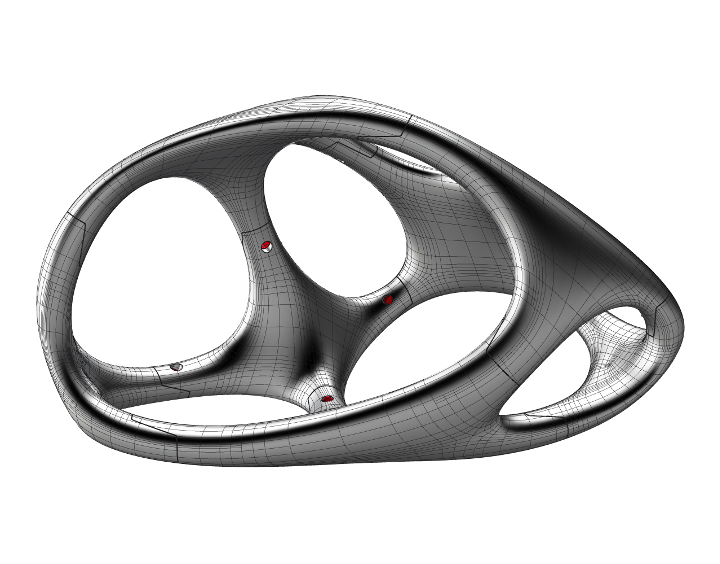 After the digital sketches, the shape is modeled in a mesh modeling system, for fast feedbacks and easyier modifications. 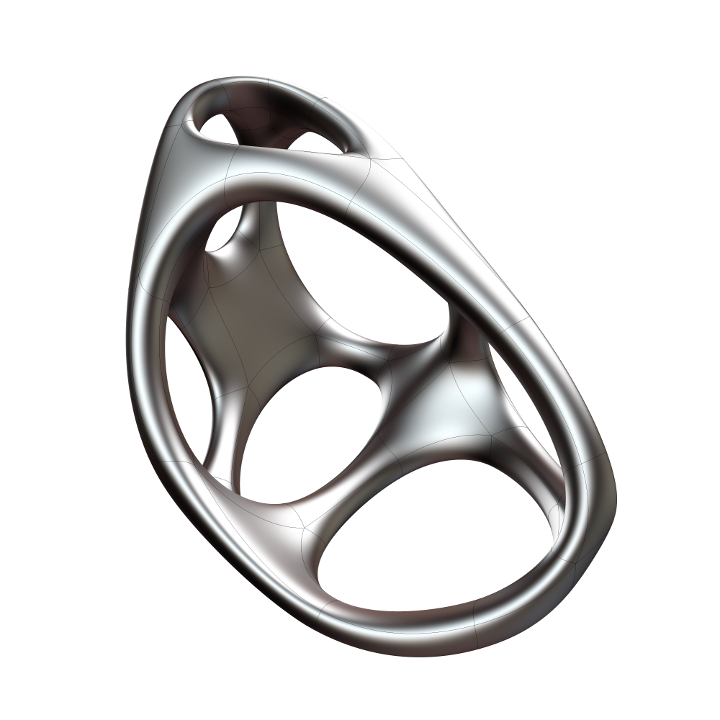 Once the initial mesh is done, it is remodeled as a NURBS surface. Then the CAD model is split into smaller assemblable parts for easier manufacturing.